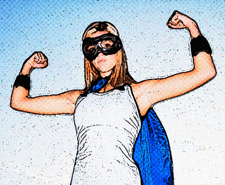 How to Design Your Website To Be Your Hardest Worker! Focus is often made on getting a website to rank high on the search engine results pages, overlooking actual website performance in converting visitors to satisfied clients, winding up with a high bounce rate. In order to be successful, a website must help in the conversion process, working like a virtual employee who performs multiple roles to keep a business going. So how can Houston web design make a website a hard worker? It is important for a website to clearly state its purpose, what service or product it provides, and what can generally be expected. A major flaw in Houston web design is making visitors guess what a website is about. Does it provide information, want to sell a product, does it provide some kind of service? When a visitor sees an unfamiliar website with just a tag line and maybe a logo, it can be confusing and sometimes bewildering to guess what function will be found. The more likely move is to go to the next link on the search engine results page for a better choice. Truthfully, no one has the time or patience to go through an entire website to see what it offers. In order to retain clients, a website’s function must be readily apparent beginning with the Home Page so clients can easily find what they want, the services that they actually need. The navigation menu is a vital element to website success; users will leave a website if it is impossible to find the information or service desired. An effective website must have a navigation menu that is easy to understand and clearly describes the represented contents. A navigation menu should have a common location on all pages for easy user functionality. If it is located in the left upper corner of the home page, it should also be at the same location on any other pages so web users won’t have to look for it on each page. Web visitors customarily have questions regarding the service or products offered by a website, including general queries, problems related to the website’s subject, etc. It is important that any common questions be addressed. This is often done with a Frequently Asked Questions or FAQ page that can answer some of the common questions related to the topic. Any long or more complicated questions can be directed to a Contact Form or some part of the content dealing with the question posed as it is important to be sure that any concerns can be addressed that would otherwise prevent a visitor from using the presented product or service. It is not enough for a website to rank high on the search engine results pages; it must also be able to convert visitors to clients. With the help of a knowledgeable Houston web design firm, it is indeed possible to have a website that is the hardest-working employee a company will ever find! Call Web Unlimited For The Hardest-Working Houston Web Design Firm! Do you need to get from effort from your website? Call Web Unlimited at 979-696-2500 for the best Houston web design professionals to design your website to be your hardest-working employee! Was Your Website Suspended By ICANN? Don’t Let This Happen! What is Psychology-Based Web Design? Website Redesigns – The Value of A Data-Driven Approach! Professional Web Design – What Does That Mean To My Business? 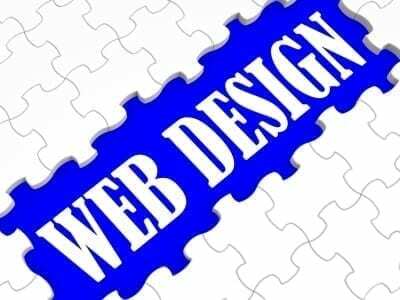 What Web Designers Must Know To Design Your Business Website! ADA Compliance – Is Your Website On Board? Why Your Web Design Company Should Update Your Website! WordPress Web Design – What Are The Essential Factors? The Indisputable Value of Filters on Ecommerce Website! Is Artificial Intelligence Changing The Web Design World? We developed our own custom search engine optimization strategy that sticks our clients to the top of the search results.